7 digits. 6 Whole Kwh with 1 decimal point. 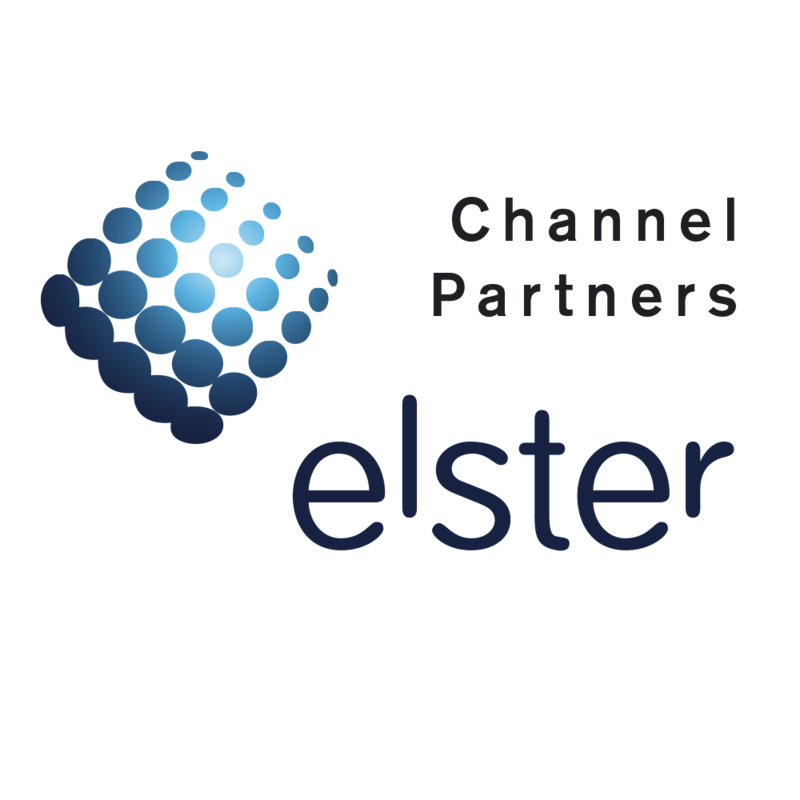 The Elster A100C is housed in an extremely compact case. The meter offers one or two rates and can be used for import only or import/export for domestic small scale generation sites. 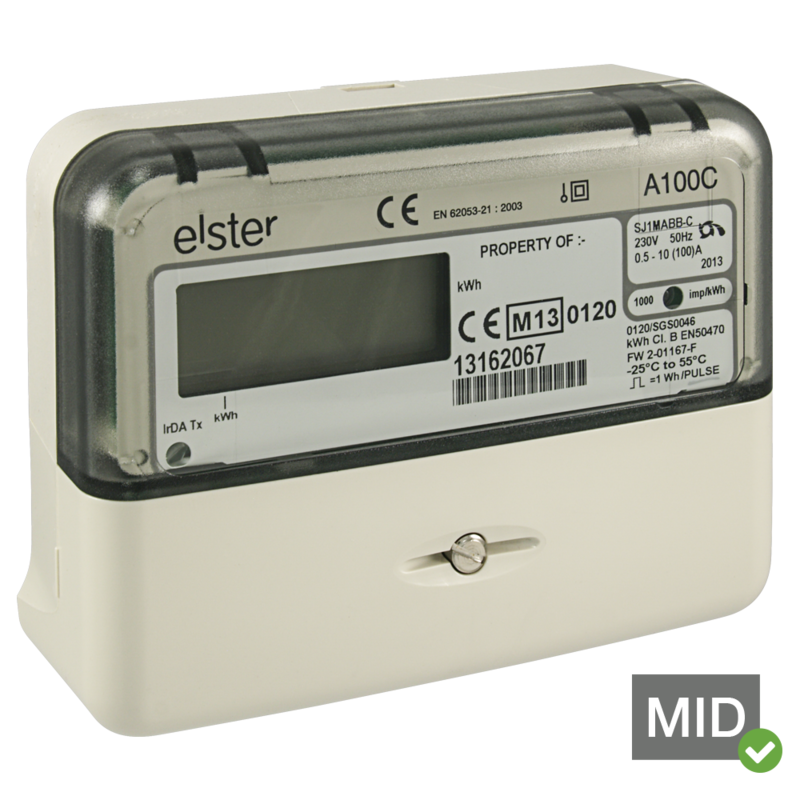 The Elster A100C can be a simple import meter or for import/export, domestic or small scale generation sites. The meter offers one or two rate operation. The liquid crystal display has large (9.8mm), high contrast digits that can be viewed from a wide angle. Chevrons and multilingual legends on the nameplate identify the values being displayed. To enhance security, the main meter cover is permanently secured to the base during the manufacturing process. Security features include reverse run energy total and count; power fail and elapsed time count; hours in anti-creep, hours in rate 1 and rate 2 and hours since last power up time. These are stores as security data and can be included as part of the display sequence. The successful range of A100C meters from Elster Metering Systems provides a cost effective solution for one or two rate domestic applications. The meter is housed in an extremely compact case. To enhance security, the main meter cover ispermanently secured to the base during the manufacturing process. The meter offers high security and detects many of the most commonly used tamper techniques. The security data can be included as part of the display sequence and read via the optical communications port. The A100C has the option of IrDA or optical IEC 62056-21 communications. Both methods of communication allow the meter registers and security data to be read electronically from a laptop or hand-held device, greatly reducing the possibility of manual meter reading errors. The general requirements and particular requirements of EN 50470 Parts 1 & 3, and complies with Class M2 Mechanical environment and Class E2 Electromagnetic Environment. The degree of ingress protection is to IP53, IEC 60529:1989 Meters are marked with the European CE Mark, in accordance with the Marking Directive 93/68/EEC to indicate compliance with the requirements of the EMC Directive 89/336/EEC. 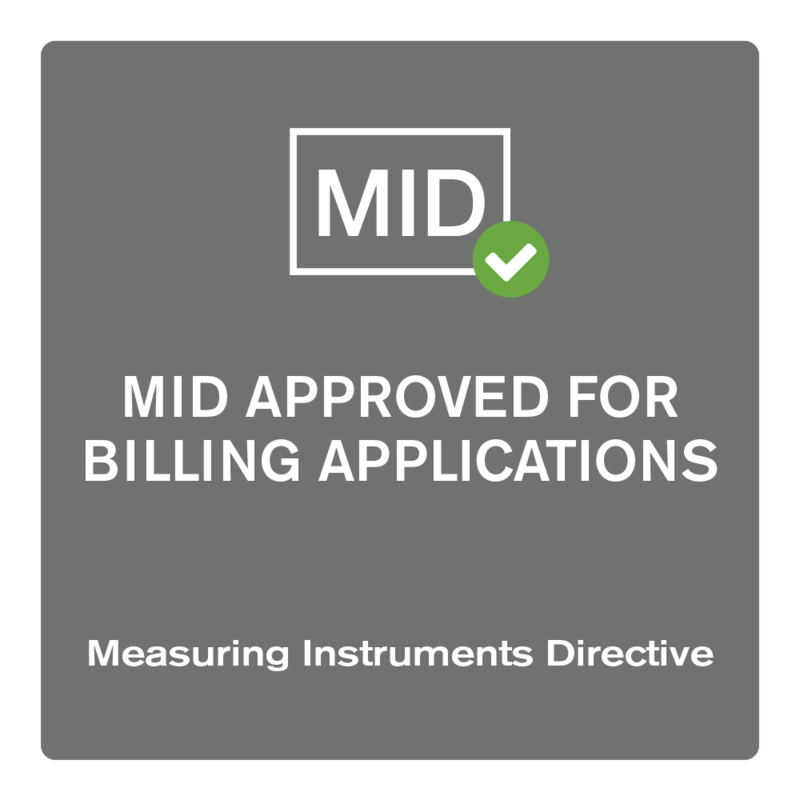 Variables of the A100C are approved by the Office of Gas and Electricity Markets (OFGEM) in compliance with European and British metering legislation (Approval Number 984).